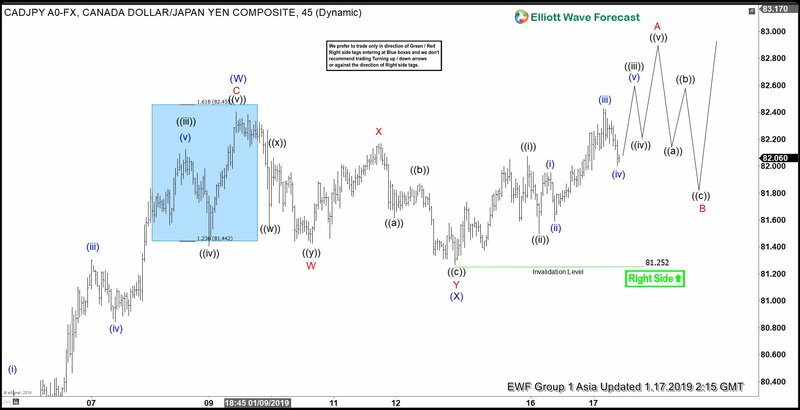 Short term Elliott Wave view on CADJPY suggests that the rally to 82.4 on Jan 9, 2019 ended wave (W). Pair then corrected in wave (X) as a double three Elliott Wave structure and the dip ended at 81.25. Down from 82.4, wave W ended at 81.42, wave X ended at 82.17, and wave Y of (X) ended at 81.25. Since then pair has made a new high above wave (W) at 82.4 suggesting that the next leg higher in wave (Y) has started. The rally from 81.25 can unfold in various structures. 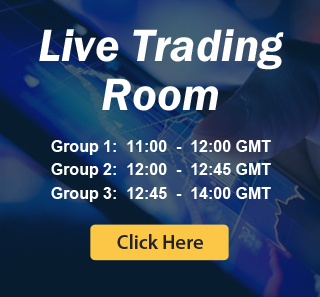 We propose a 5 waves impulse Elliott Wave structure in the rally higher. Up from 81.25, wave ((i)) ended at 82.07 and wave ((ii)) ended at 81.5. Wave ((iii)) is in progress and should subdivide as another impulse of lesser degree. Two more highs in wave ((iii)) and wave ((v)) should happen before wave A ends.